The Flowering Tree Wall Sculpture. Escape to a contemporary forest when you hang this metal wall art in your home or office. 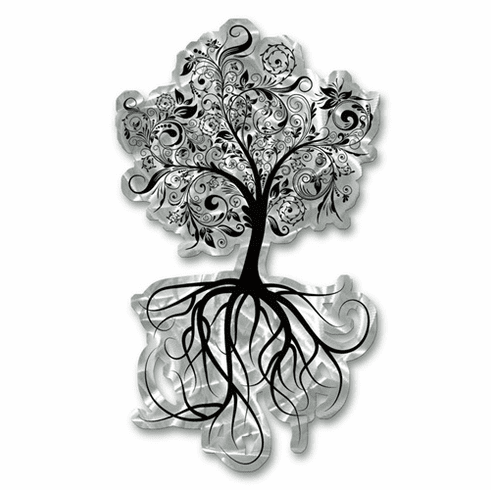 This amazing metal wall hanging consists metal cut abstract tree that display an stunning three dimensional look. The metal wall hanging has a hand sanded design that creates an eye-catching holographic effect. As you move, the reflected light off the metal brings the artwork to life.